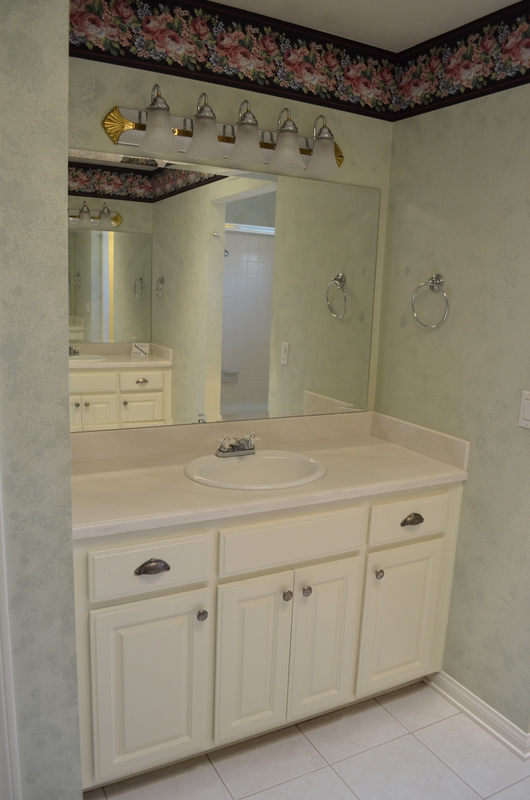 bathroom remodel trends. Calling the bathroom “the new den,” he wrote that today’s emphasis is on luxury, with more and more people looking to their bathrooms to relax and luxuriate after a hectic day. In other words, those fabulous, super posh bathrooms in the Wynn and other high end hotels aren’t just for vacations. Today people are incorporating the “wow” factor in their homes, and getting more value out of their homes while they’re in them and when they sell. 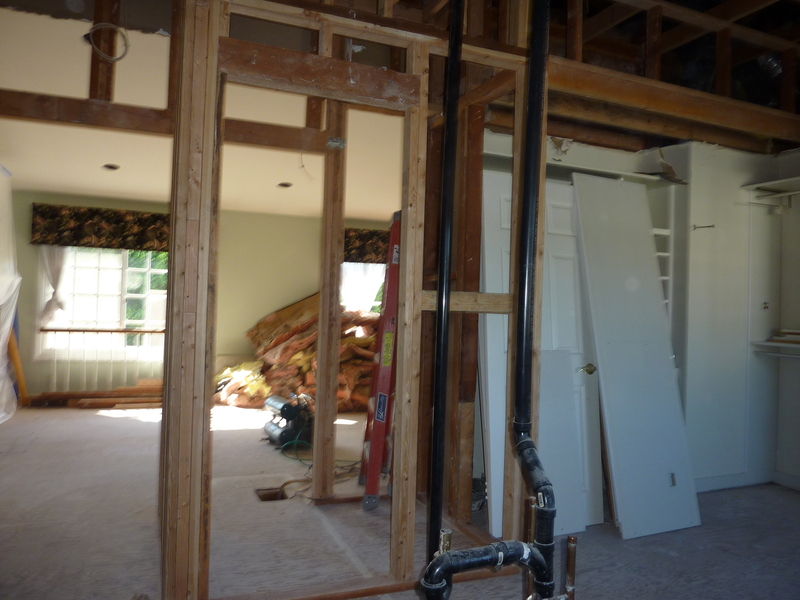 The master bathroom in my Irvine project is undergoing a major remodel. Let’s see how many of the top 13 trends made the cut. 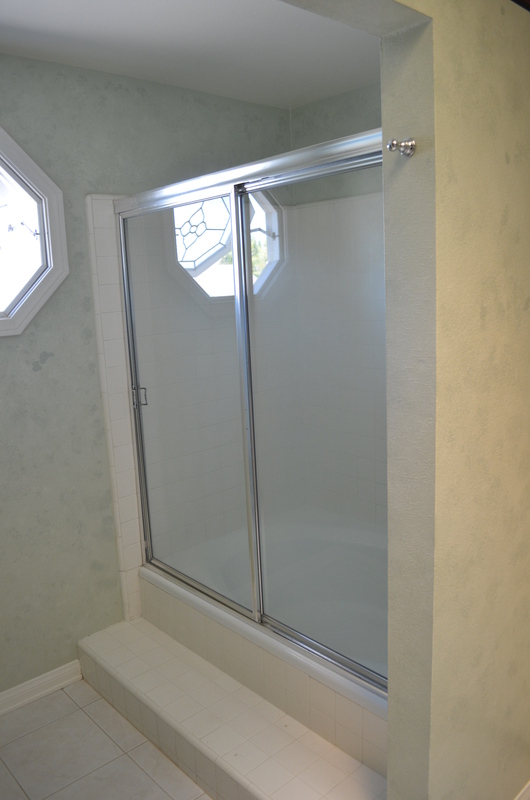 #1 – Large, airy showers. Well, it wasn’t before, but it will be soon enough. glass encased shower with hinged doors. I know, not very luxurious right now, but just wait. And look up at the ceiling. That’s right, what ceiling? See that strip of wall paper? That’s where the old ceiling was. 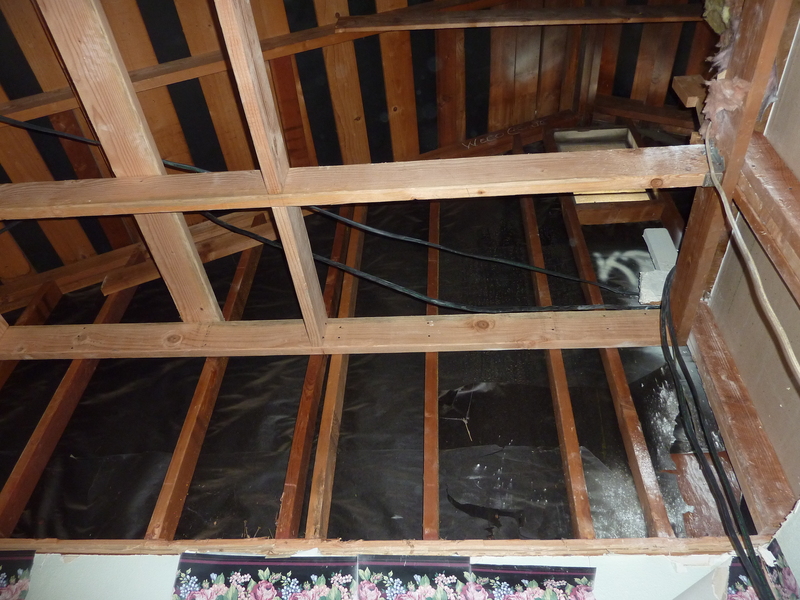 We’ve knocked it out entirely straight through to the attic so we can create what will be soaring ceilings. Now THAT’s airy. # 2 Noisy Jacuzzis replaced by soaking tubs: We’ll leave the Jacuzzi for outside, we’re going for serene experience. # 3 – Let the light in: According to the article, people want their bathrooms brighter and more sun filled than before. 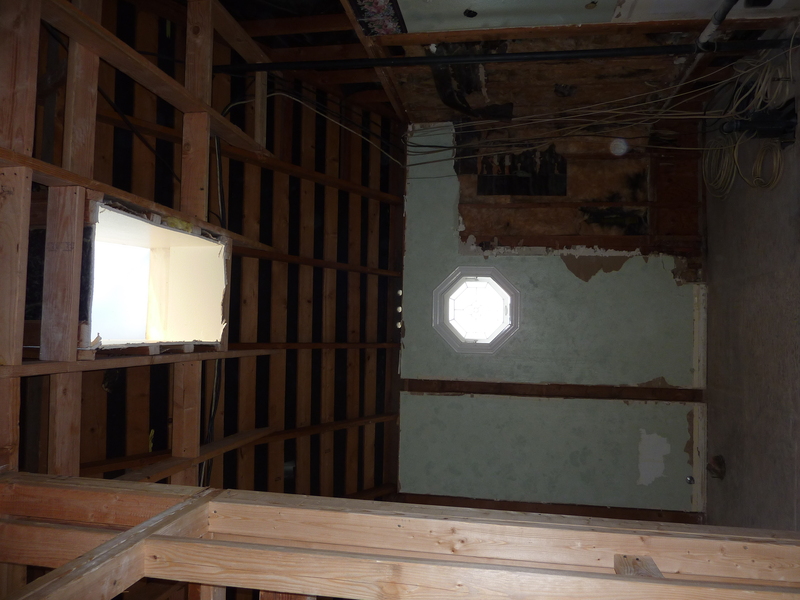 We’ll be extending the skylight to bring in more sun and we’re thinking about that octagonal window too. 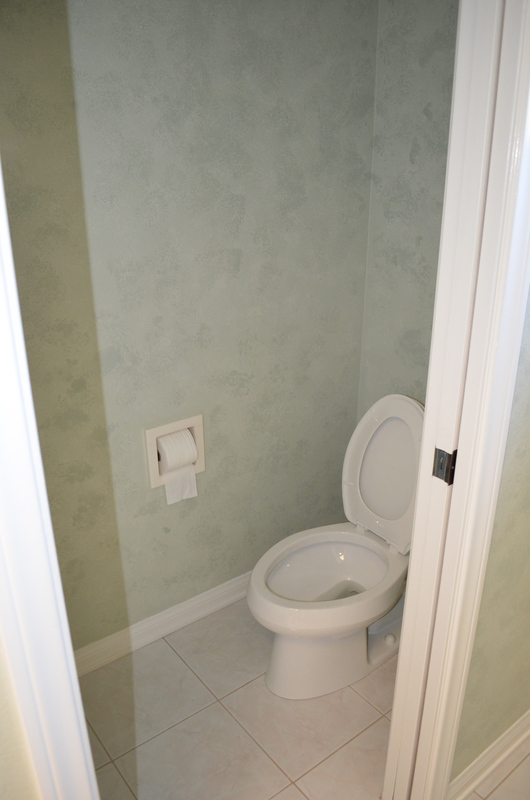 #6 – Walling off the loo: One of the biggest trends in both new construction and higher-quality remodels, says Solomon, is “privatization of the toilet,” in other words, giving it its own room. As you can see, we’ve moved the toilet from its old location to one that makes more sense spatially. 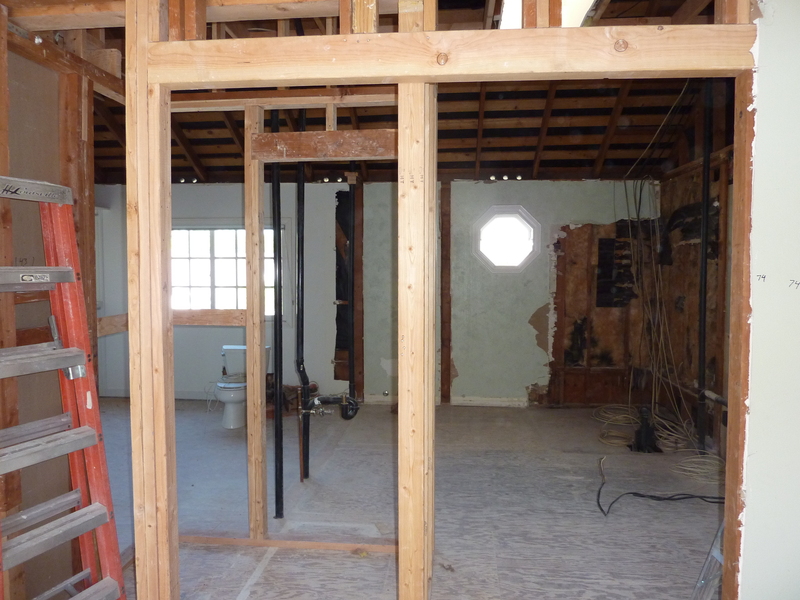 You’re seeing the framing for what will be the new toilet room, only this one will have a door that swings out – a little more modern plus all the privacy and added space you could want. #8 – Smarter storage: Additional storage consisting of small drawers with dividers is the latest in stashing your stuff. We’re thinking of putting in a nice linen closet plus a tower with shelves that are easily accessible. 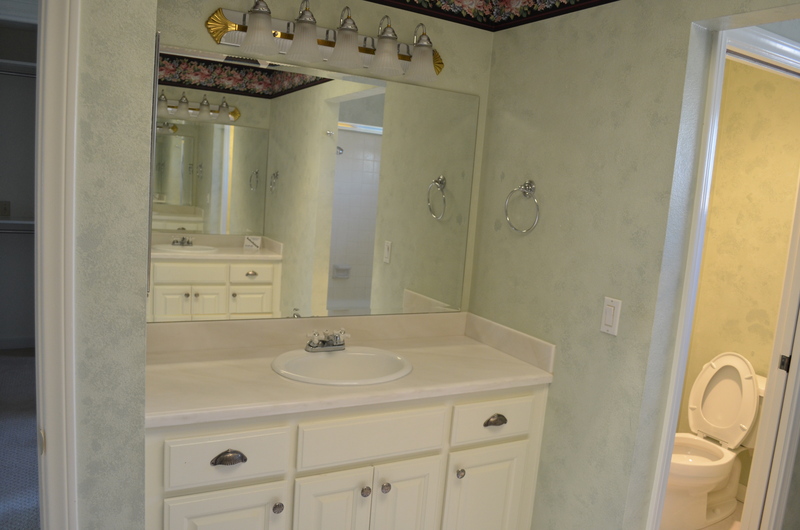 #9 – Dueling vanities: Increasingly, homeowners are asking for his-and-hers sinks and vanities, Solomon says. # 12 – Good tiles: Lame linoleum and glazed tiles are out, porcelain and stone tile is in – and so is glass for that matter. We’ve been looking at some beautiful stone tiles in warm earth tones that are durable, easy to clean and won’t break the bank. No firm decision yet, but we’re definitely headed in this direction. and heated tiles. But you never know…we’re not done yet. Until next time, enjoy a little luxuriating of your own, in your bathroom, or wherever you choose. Oh, and by the way, the world’s biggest wine cellar is the Cricova Mines in Moldova. Congratulations to Derrick in Los Angeles who came up with the answer. A bottle of wine is on its way. If you’re thinking of a bathroom remodel with some of the top trends, contact Doron for a free, in-home estimate at 949-228-5218 or doron@edenflooring.com.